Nothing brightens up a dreary winter window like a suncatcher. Heart-shaped Valentine suncatchers are even more cheerful, especially when kids help to make them. I’ve rounded up 18 gorgeous examples, made with a variety of methods. There’s something for every age child and every taste. When I created my own Valentine suncatcher, I did a quick search to make sure I wasn’t copying anyone. I learned I was copying everyone, but in my own unique way. You’d be amazed at the variety of ways you can make a sun catcher! For instance, each of these first six Valentine suncatchers is made in a completely different way! 1. Toddler Time: Simple Valentine’s Day Heart Suncatcher from Happiness is Homemade is easy for tots to decorate. 2. Suncatcher Heart Garland from Homegrown Friends for I Can Teach My Child is a full-on learning activity for preschoolers, as well as an enduring seasonal decoration. 3. That’s mine, the Valentine Heart Suncatcher from Books and Giggles. It’s best for kids in kindergarten and up. 4. How to Make a Heart Suncatcher by Raising Little Superheroes is perfect for preschoolers and simple to make. 5. Toddler Suncatcher Valentine Craft from Twodaloo for B-Inspired Mama has a clever method for turning toddlers’ process art into beautiful heart suncatchers. 6. Simple Valentine Heart Suncatchers from Small + Friendly are fun for all ages and super-easy and simple.This next group also uses a variety of methods. Mommy is sweet, and easy to do with toddlers or preschoolers. Activities Blog is particularly good for preschool fine motor work, and looks like a lot of fun to boot! 9. The Yarn Painted Suncatcher from Minne Mama was made by a baby in a high chair! Mom reports he was completely “entranced” – so if you have a tiny tot, go check out how to make your own. 10. This Easy Heart Craft Suncatcher Necklace from Fantastic Fun and Learning shows that Valentine suncatchers aren’t just for windows anymore. 11. The Suncatcher Hearts from Where Imagination Grows have another unique take on materials, with stunning results. Another fabulous fine motor craft too. 12. Isn’t that Heart with Black Glue from Mess for Less eye-catching? It’s a lovely craft for older kids, probably kindergarten and up. Or you can make the outline for younger kids, and just let them fill in the rest. 13. Stained Glass Hearts Suncatcher – from Simple Fun for Kids for Red Ted Art is so colorful! 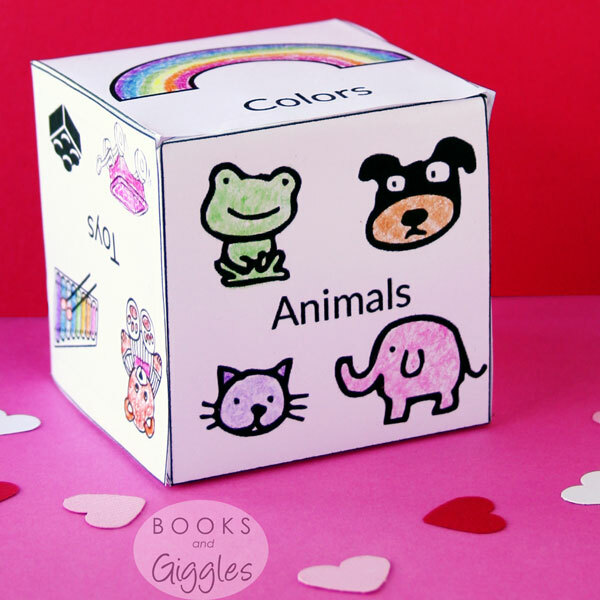 Preschoolers can do this one with help. 14. Yet another unique method is used to make the Heart Suncatcher Craft for Toddlers. So beautiful! 15. The Rainbow Heart Suncatchers from Fireflies and Mudpies is another bright and cheerful option for preschoolers. Finally, here are 3 more lovely heart suncatchers that I didn’t have room for (or found too late) for the giant collage above. This simple Tissue Paper Suncatcher from Teaching Mama includes a sweet printable to make the craft into a gift for a loved one. The post for the Valentine Suncatchers from Feels Like Home include a funny narrative of how not to set up the craft for a 3-year old. In the end, the results came out well for both the 3-year old and her older sister. This Suncatcher Mosaic for Kids from Kids Craft Room is a winner. It can be made simply for younger kids. 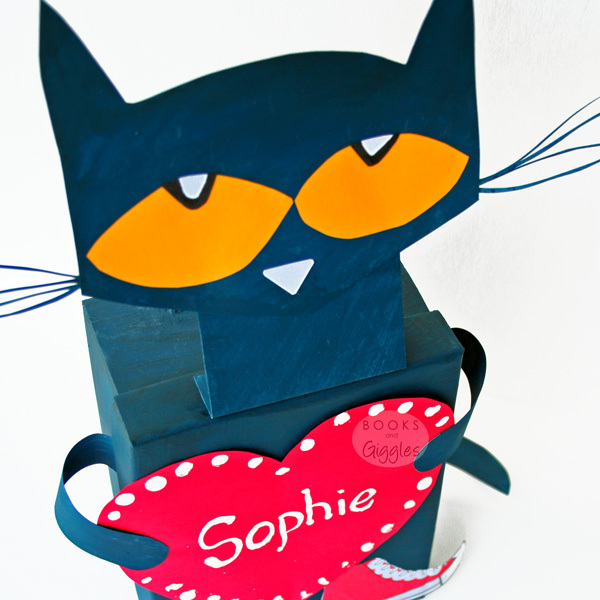 There are also helpful suggestions for helping older children make more detailed designs. I keep finding myself calling these heart catchers. And they sort of are. 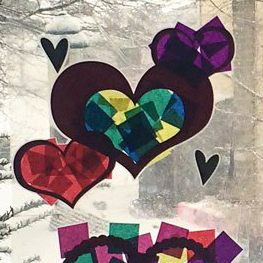 Valentine’s Day suncatchers made with little hands can steal your heart on a gray winter day. Still looking for more ideas? Follow my Valentine’s Day board on Pinterest. Love a good suncatcher, and all of these are gorgeous. Kids love them so much as well, so hours of fun guaranteed here for the littlies! Thanks for taking part in the Valentine Blog Hop linky.